Maccabi Fox Tel-Aviv (Winner League) tabbed 27-year old American (has also Bissau-Guinean passport) center Colton Iverson (212-116kg-89, college: Colorado State, agency: Pensack Sports). He played most recently at Pinar Karsiyaka in Turkish BSL league. Iverson managed to play in three leagues last year (!!!). In 33 BSL games he averaged 11.4ppg, 6.4rpg and 1.1apg. He helped them to make it to the cup final. Iverson also played 9 games in Euroleague where he had 9.9ppg and 4.9rpg. And finally he contributed to 8 games in Eurocup where he recorded 9.9ppg, 6.5rpg and 1.0apg. The previous (14-15) season Iverson played at Laboral Kutxa in Liga Endesa. In 37 games he got 7.0ppg and 5.7rpg. 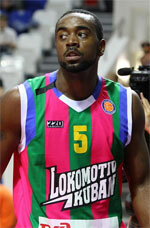 He also played 24 games in Euroleague where he got 7.0ppg and 6.0rpg. Three years ago Iverson was drafted by Indiana Pacers (NBA) in second round (53rd overall). He attended Colorado State until 2013 and it will be his fourth season in pro basketball. Iverson received All-MWC Newcomer of the Year award back in 2013 at his college time. Iverson has played also professionally in Turkey for Besiktas.